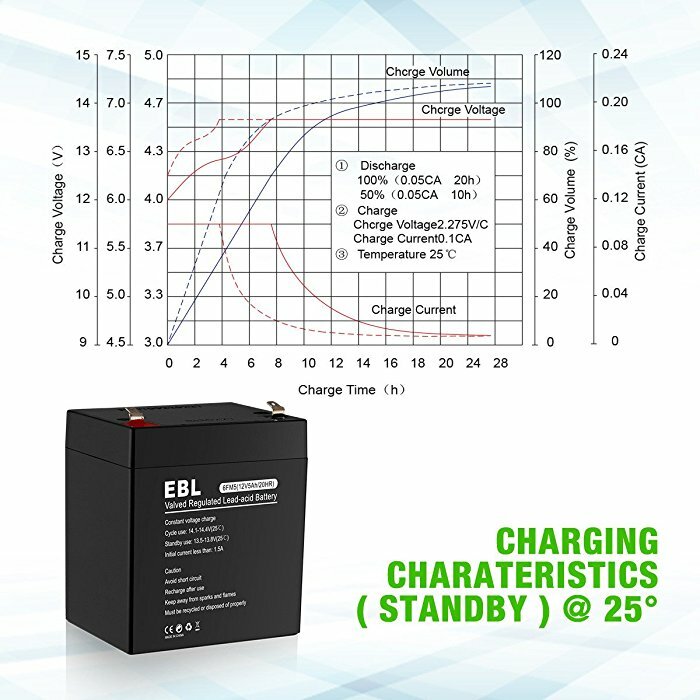 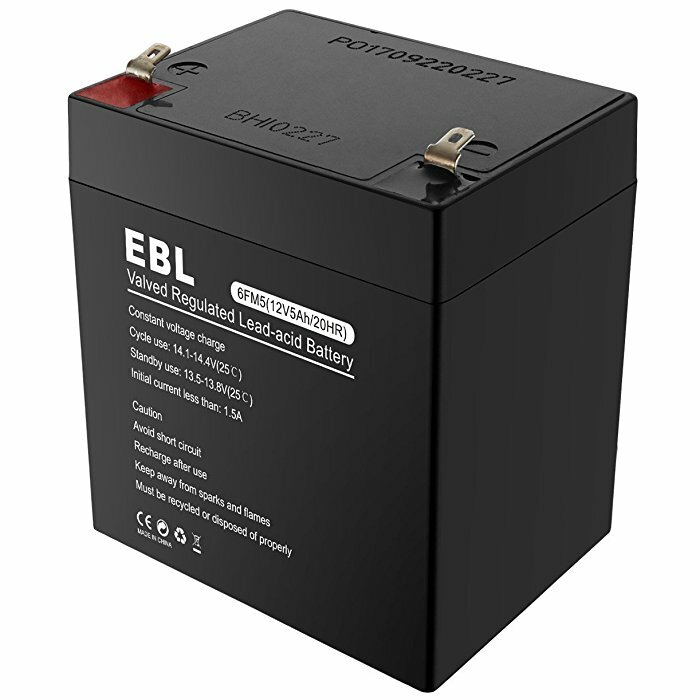 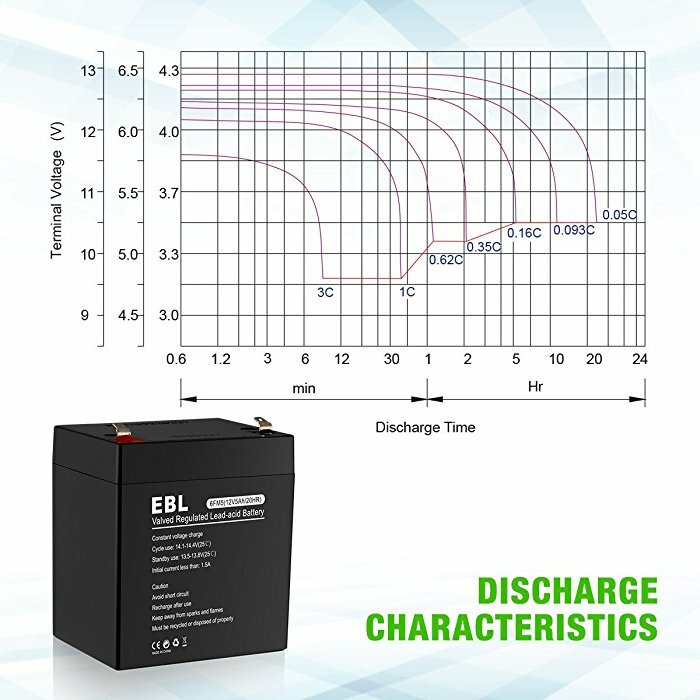 The well-built rechargeable lead acid battery is rated at 6V and 5Ah capacity for high performance. 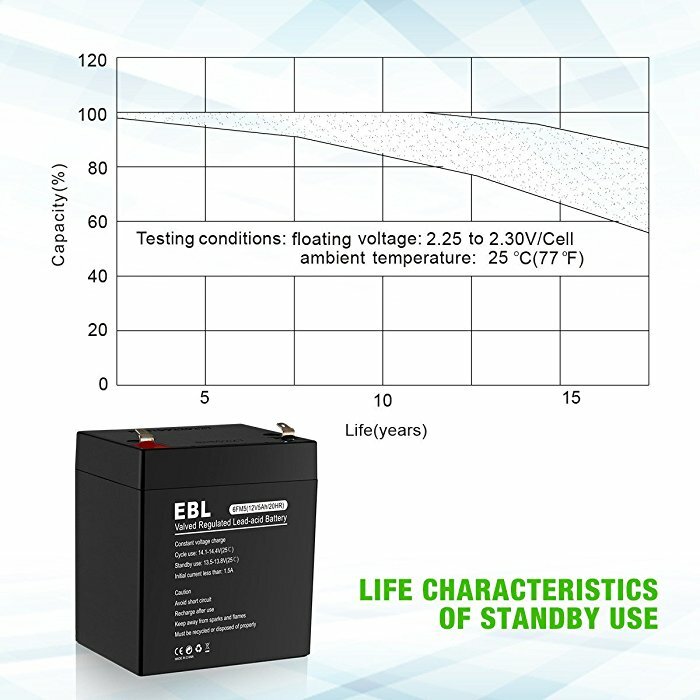 The lead acid battery has great longevity because of the efficient, safe built-in battery cells and well-designed plates and electrolyte. 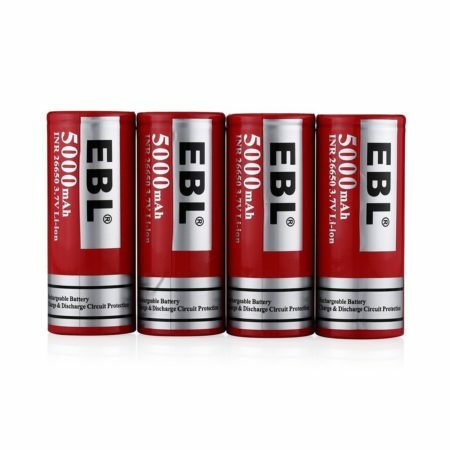 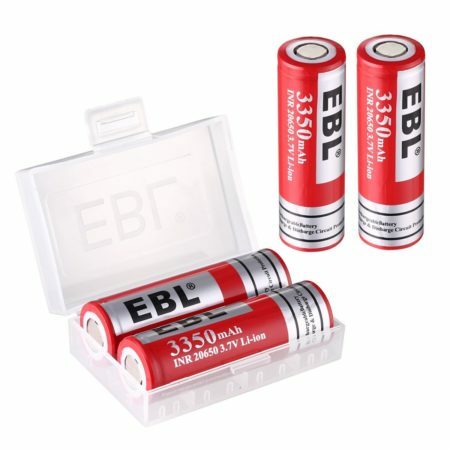 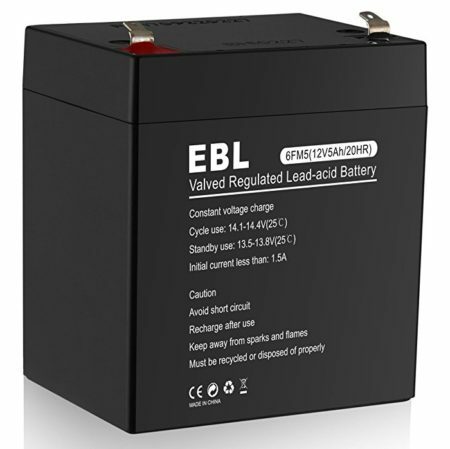 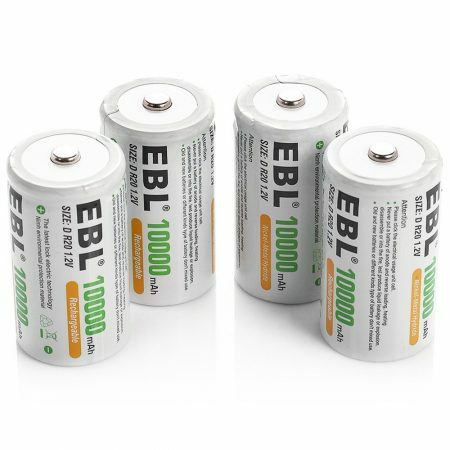 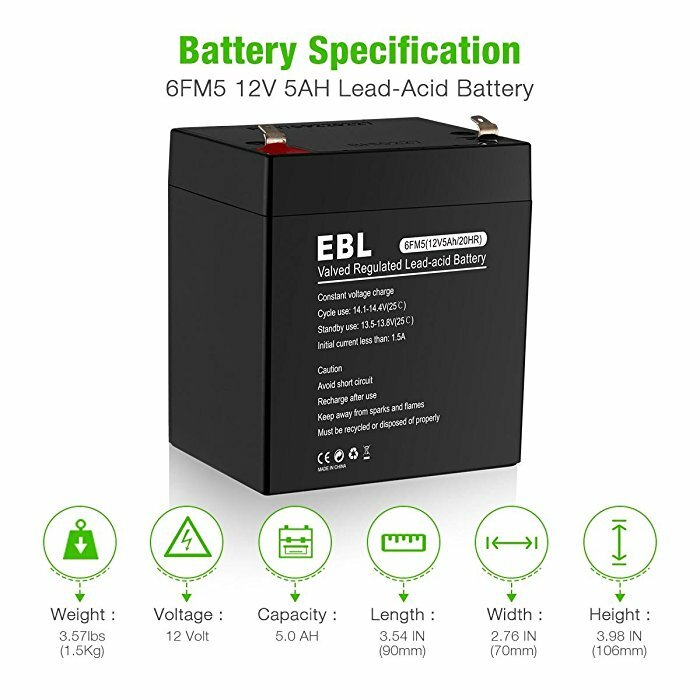 EBL uses advanced Absorbent Glass Mat, AGM technology together with oxygen recombination technology for the battery to work perfectly as power supply. 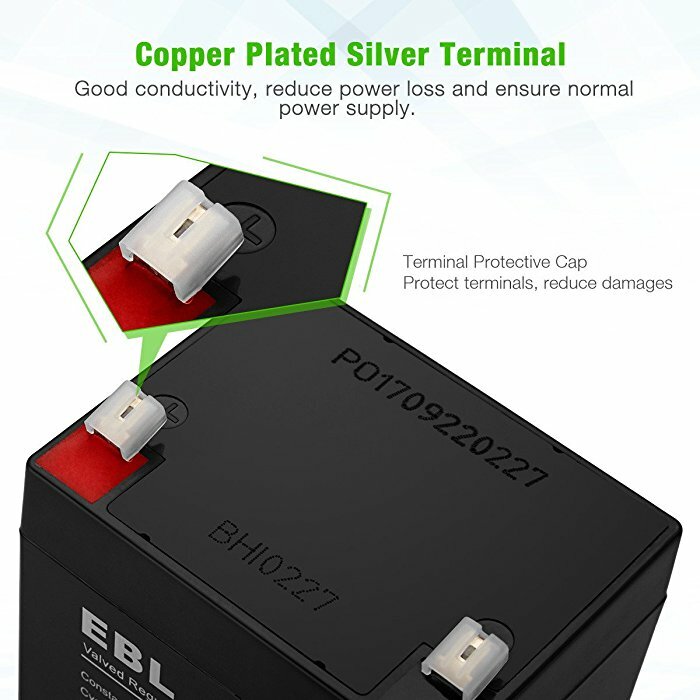 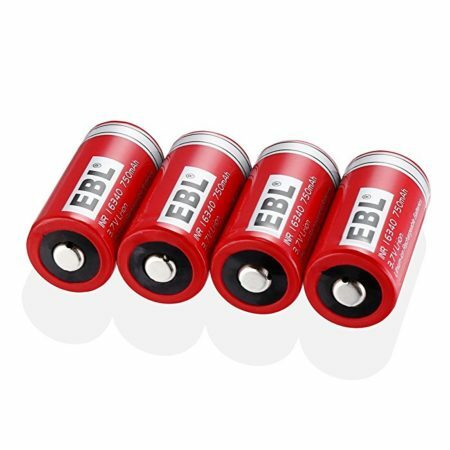 The battery container is made of durable ABS material for better protection.